Fixed or variable interest rate. Terms and conditions and normal lending criteria apply. A $500 approval fee and other fees apply. From 1 May, IRD will change the Working for Families Tax credit payment days from Monday to Tuesday. Make sure you're all set for the changes. Important: Subject to the proposed Transfer of Engagements from Credit Union South, Credit Union Central and Aotearoa Credit Union to Credit Union Baywide, the General Terms and Conditions have been updated and will take effect from 1 May 2019. Click here to view a copy of the updated General Terms and Conditions. Helping Kiwis achieve financial freedom. NZCU Baywide are all about helping everyday New Zealanders achieve their financial goals. Being 100% kiwi owned, we are proud to support New Zealanders with a range of loans and everyday banking services. We specialise in financial solutions for individuals, including products for NZ home loans, personal loans, high interest savings accounts and term deposit investments. Plus everyday transaction accounts and insurance for vehicles, loan protection, funeral protection, home and contents. Looking at debt consolidation options? You could reduce your weekly repayments and avoid paying high interest with a debt consolidation loan. You might be able to save hundreds of dollars on interest and pay off your debt quicker by transferring your credit card balance and other high interest debt to a NZCU Baywide loan. 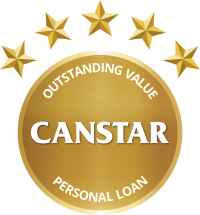 Personal loans, NZ wide, at competitive rates. Whether you’re looking to cover unforeseen emergency expenses, fund a dream wedding, or treat the family to a much needed weekend away, at NZCU Baywide we look past how the numbers look on paper to offer great rates on both secured and unsecured finance that free you up to live your best financial life. Saving money is one of the most financially sound investments Kiwis can make, but it’s easier said than done! That’s why at NZCU Baywide we make it easy, with some of the best high interest savings accounts and term deposit investments in New Zealand. Building a nest egg for retirement? An emergency fund? Or simply saving for a rainy day? Achieve your financial goals and start saving today. Looking for a leading loan provider to give you a good finance deal on your next car? NZCU Baywide offer a great deal on car loans and vehicle financing. Whether you are looking to upgrade from your existing car or buy a new one, NZCU Baywide are here to help.